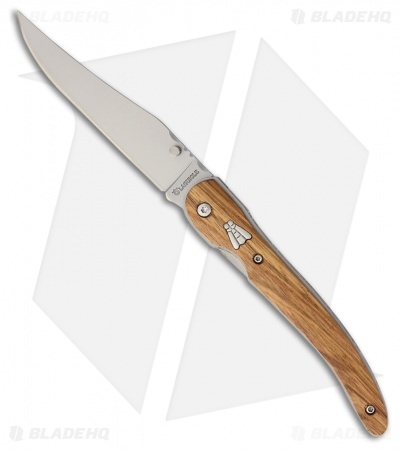 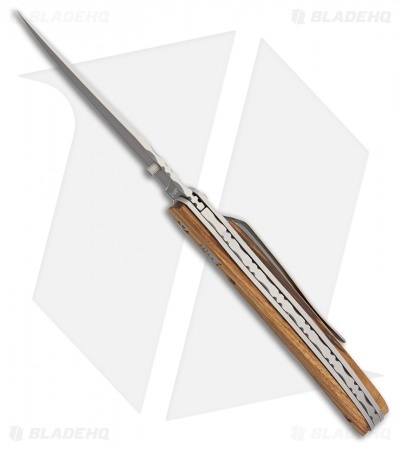 The Baladeo Variation Laguiole liner lock knife with zebrawood handles combines traditional French craftsmanship with modern functionality. 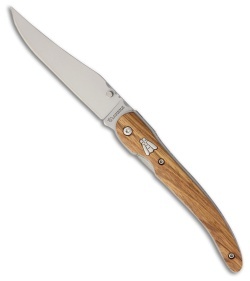 The 3.75" bead blasted partially serrated clip point blade is able to tackle any of your daily cutting tasks. Attractive zebrawood handles with inlayed medallion are comfortable in hand and provide plenty of traction for a secure grip. Easily carry the Variation Laguiole liner lock knife with the right hand, tip-down stainless steel pocket clip.